Our Director, Craig McGregor was very proud to be a part of the initial roll out of the #MyMaitland campaign with a testimonial video about all the wonderful aspects of living in the Maitland area, running his own recruitment business and being with his family. Craig’s solid connection to Maitland and love for his home town really shines through! As a resident, business owner and in his role as the Maitland Business Chamber President for 3 years running Craig has witnessed Maitland’s progress from a business and community perspective and is excited for the very bright future of this great city! Its super simple to be a part of the #MyMaitland campaign, all it takes is for people to use #MyMaitland on their social media profiles. The challenge though is for everyone to invite just one extra person a year, from outside of Maitland, to visit and stay overnight so they can show them the best things about our city. For businesses, this is a fantastic opportunity to take advantage of the city’s growing visitor economy and celebrate the wide range of experiences that Maitland has to offer. Consider advertising in the next edition of Meander, which will be distributed to every household across the city. To read more about how you can get involved and the plans for the #MyMaitland campaign head to the website and become a part of it today! 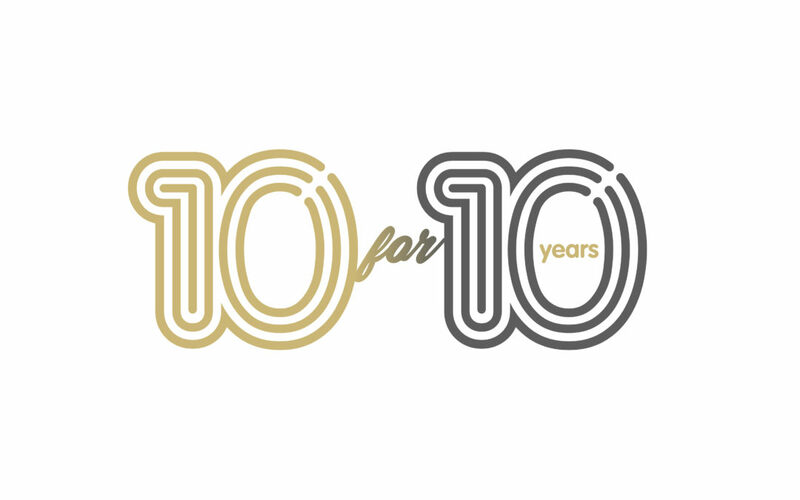 Inspired by our 10 year anniversary I have created 10 interviews with people who have contributed to my life and business. It is fitting that the first of these released is a conversation with Daniel Borg, creative mind behind http://www.psyborg.com.au Daniel has become a partner in terms of brand creation and design for HRG and along the way we have developed a friendship. 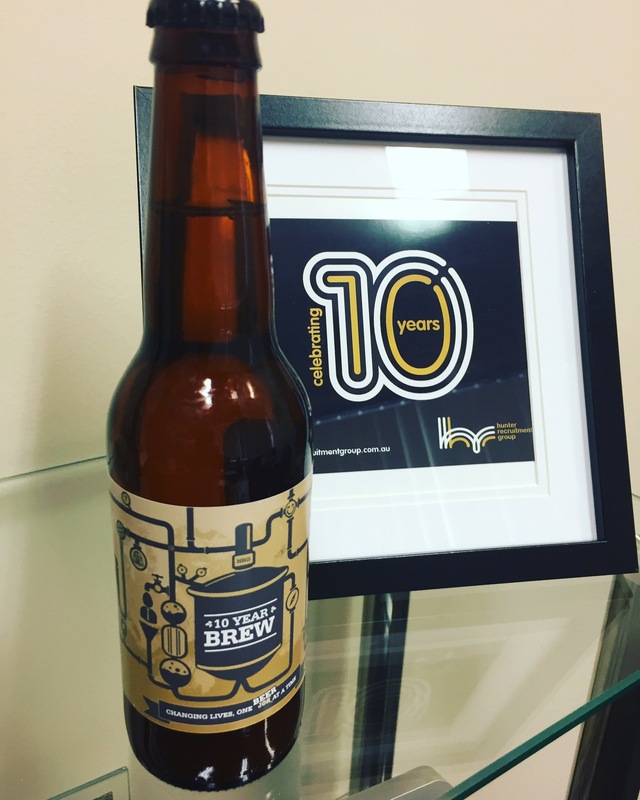 Please sit back and if you have one handy, grab a HRG 10 year anniversary brew and enjoy the first ever 10 for 10. 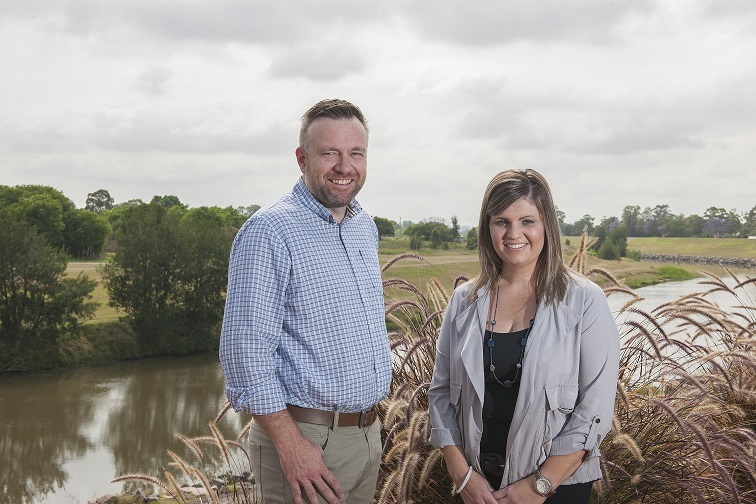 With 10 years of growth and providing leading recruitment and career transition services to the Maitland and Hunter Regions growth is upon the team at HRG. I am proud to welcome Kathryn Blackmore to Hunter Recruitment Group. Kathryn is a recruitment expert with a dedication to her customers and candidates that fits our desire to be the best in the Hunter. My mantra is all about fit and relationships and Kathryn joining our team is the perfect fit on multiple levels. We share passion for connecting people with people and building lasting relationships that are mutually beneficial. So if your organisation is in need of great people you now have twice the recruiting power via HRG. ” If I’ve learned anything during my nearly 20 years in recruitment, it’s that the most successful placements come when there is a great cultural fit. The culture, vision and values of HRG align seamlessly with my own and I’m delighted to be joining them. Hunter Recruitment Group offers the full scope of services across the whole employment life cycle, Temporary/Labour Hire and Executive and Permanent Recruitment, HR Consulting and Career Transition/Outplacement. Managing Director Craig McGregor has just celebrated 10 successful years in business and balances HRG with his commitments to his role as President of Maitland Business Chamber and his family, including 3 young daughters. After growing up in the Hunter, moving to the Central Coast to work post Uni, starting a family and returning to the Hunter to live in Maitland, 2006 saw the realisation that it was time to venture into my own business. Hunter Industrial Recruitment was born with two business partners that owned and operated Hunter Executive Recruitment. We shared an office in Newcastle with another entrepreneur, Summa from PeopleCheck. Those early days of making cold calls and going to as many networking meetings as possible seem so long ago. Being mentored by lifelong business owners and working side by side with another go getter was the best starting point I could have asked for. The business started to make headway and clients enjoyed the individualised service and dedication to finding fit. Clients started to seek assistance with no industrial roles and I can still remember meeting with an accountant and the quizzical look on her face “why I am meeting with an industrial recruiter”. This was the meeting where the branding change to Hunter Recruitment Group was conceived. The initial business partners were bought out and the business moved to Maitland, selfishly so I didn’t need to commute any longer, but also to engage more with the business community in the best city in the world. Having a business for 10 years has given me the canvas to explore how I can best assist business and candidates through the employment life cycle. We have built lifelong relationships with some of the best people in the valley. We have formed relationships with superstars of other industries that supply us with fantastic services and products. This new website is a great example, to have met and worked as a customer of psyborg® doesn’t only get you a great website but it makes you a much more effective branding warrior. Our little business has also collaborated with some of the regions brightest people to assist in areas of HR Consulting, Board reviews for the not for profit space and employee engagement projects. Networking and spotting opportunity has also lead to HRG gaining a contract with one of the worlds largest Career Transition providers. This has given us the capacity to truly assist people in our region at a time of need. Supporting business by engaging with employees that have been made redundant. Emotionally and functional supporting people through this critical time in the employment life cycle. Most importantly HRG has become a vehicle for Amy and I to support people. We change lives when someone gets a job or a new role. It helps build the local economy. Our favourite piece of recruitment has changed our lives. Sheridan Kirby has lifted the professionalism of our team and has become an extension of the brand and ethos of our company. Nothing has been more pleasing than the ability to give such a great young woman her start at working life and watching her skills blossom. 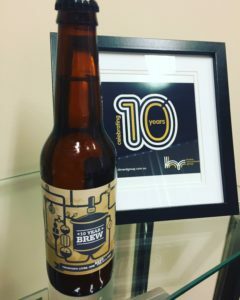 So 2016 sees HRG celebrate 10 years as an entity, but more importantly it is just the beginning of what has been and continues to be an exploration on how to be better at helping people through employment solutions.